I love fruit salsa! There’s something magical about the sweet, spicy, savory, and salty flavors all mixed together into one amazing dish. 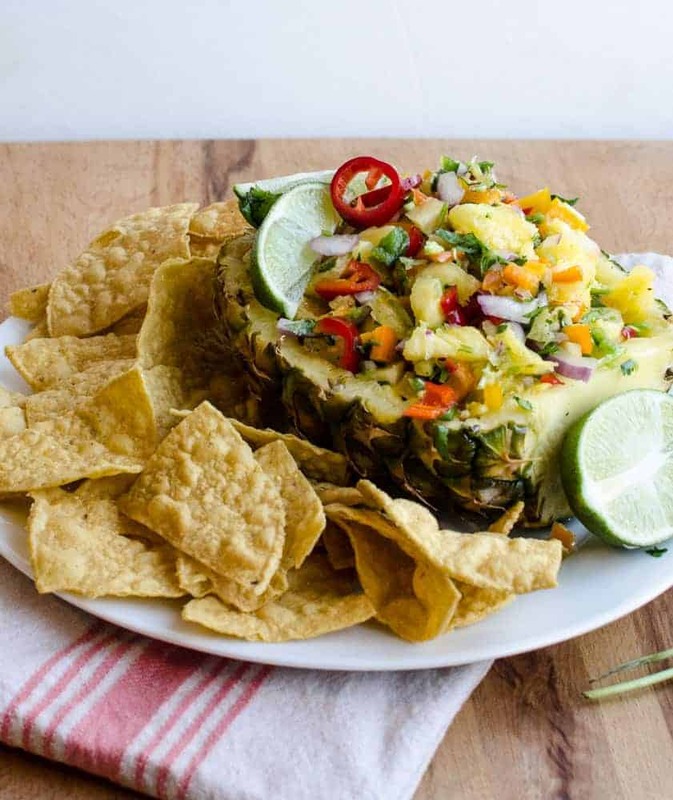 Pineapple salsa is always a favorite at our house because pineapples seem to be pretty available and sweet whenever we want them. My kids also happen to love pineapple, which means I pick one up pretty often for them to eat. 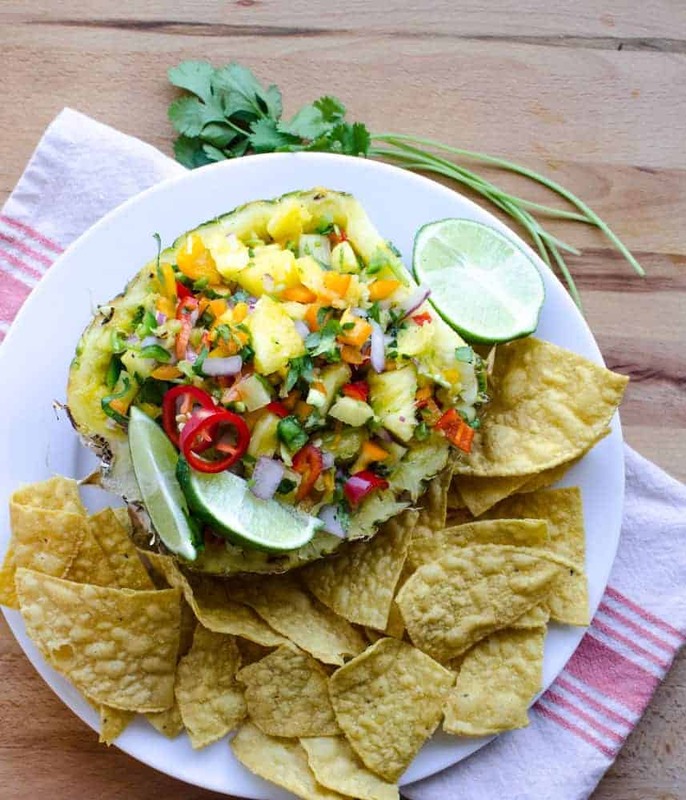 I really like using pineapple for fruit salsa because it’s so acidic naturally, kind of like a tomato, that it just transitions into salsa really well. I like to add sweet colored bell peppers for some color, crunch, and sweetness, and then a little lime juice, cilantro, and onion so that it tastes like a traditional salsa. Don’t forget the salt and pepper in this recipe. The salt really brings out the sweetness in the dish and is a must. 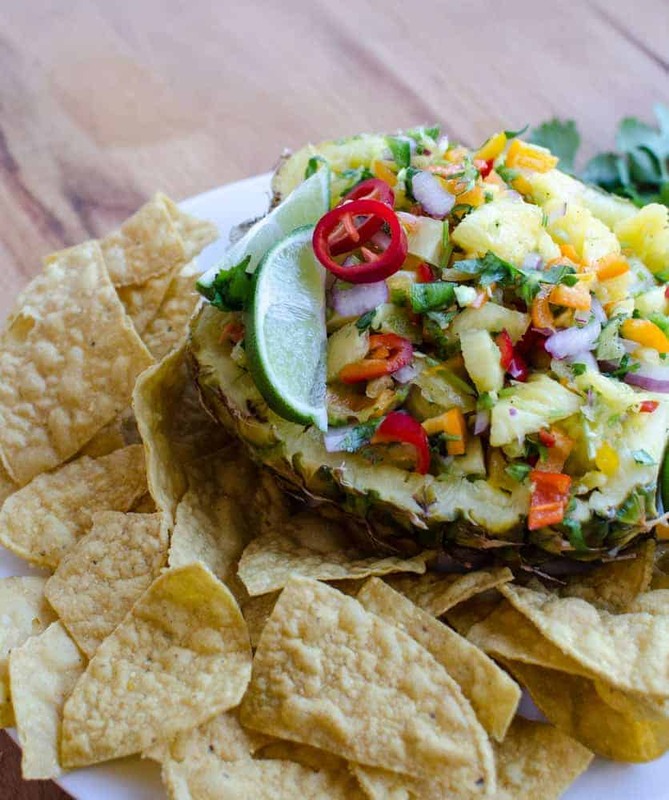 There are all kinds of ways to serve this pineapple salsa. 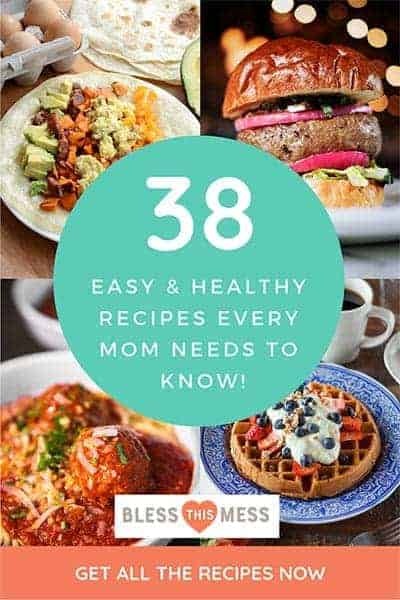 We love it with chips (homemade baked tortilla chips are so good), and I love it on a chicken taco salad with grilled chicken, black beans, and avocado; it is also delicious on fish tacos, served over chicken breast with a side of rice, or on just about any other Tex-Mex creation you can think of. In a small bowl combine all ingredients and stir to combine. Adjust the salt and pepper to taste. Serve right away. This is excellent on fish tacos, on chips, and served over chicken breast. Enjoy! Do you all eat fruit salsa? I’m planning on a peach one when our peaches are ready, but we are still a few weeks away from that here! I will have to try this, pineapple is Rhett’s favorite fruit. 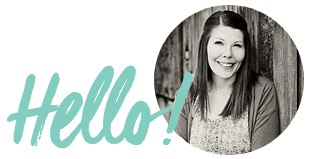 I can’t wait for the peach salsa, I just got 3 huge boxes yesterday!! !